After [Clay] Shaw's arrest, Jim Garrison received from Ralph Schoenman, philosopher Bertrand Russell's secretary in London, copies of a series of articles published in an Italian newspaper of the independent left called Paesa Sera. The articles had been assigned six months earlier to expose the CIA's pernicious attempt to influence European electoral politics and to thwart the democratic process in more than one country. They focused on 'Centro Mondiale Commerciale,' the world trade center in Rome, as a CIA front, one modeled, according to a 1958 State Department document, on the original CIA-created International Trade Mart in New Orleans. Paese Sera, of course, did not possess this document. Its evidence came first hand. Contro Mondiale Commerciale was, by the US government's own admission, a CIA front, channeling money not only into legal political parties, but also into right-wing movements. Among them was the virulent paramilitary OAS (Organisation Armée Secrète) in France, which employed terrorism to oppose the independence of Algeria, and was among the 'most notorious fascist organizations in French history.' In New Orleans, Guy Banister and L.P. Davis had been OAS supporters. The most notorious OAS-sponsored effort was the attempted assassination of Charles de Gaulle in 1962. Banister operative Tommy Baumler remarked that 'those who killed John F. Kennedy were those who wanted to kill de Gaulle.' He was referring to the CIA, Clay Shaw, Banister, and Centro's parent organization, PERMINDEX (Permanent Industrial Exhibition), based in Switzerland. Having been accused of 'shady speculation' by the Swiss, PERMINDEX had created the Centro Mondiale Commerciale in Rome, ostensibly to develop industry and trade in Italy. The Centro, however, was a trade association that rarely if ever organized an exhibit; it facilitated no commercial transactions. Nagy had been on Frank Wisner's list of the individuals with whom his office would 'have dealings in connection with our authorized activities' since September 22, 1948. Wisner then had been Assistant Director of CIA as well as 'Assistant Director for Policy Coordination.' Nagy had been a 'cleared contact of the International Organizations Division of the Agency,' among Wisner's most trusted Eastern European contacts. Nagy's history with the CIA dates from its beginnings and links to PERMINDEX with the Agency's clandestine services. Confirming de Gaulle's thesis that PERMINDEX funded the OAS is that Nagy was a 'munificent contributer' to Jacques Soustelle, former professor at the École pratique des hautes études and former Algerian governor general. Soustelle became an OAS supporters, and his organization, Conseil national de la resistance, was all but identical to OAS. In 1960, Soustelle met in Washington, D.C., with Richard Bissell, then heading the CIA's clandestine services. A year later, Soustelle went into exile to avoid being arrested by de Gaulle's police. Two years after that he would be accused of colluding with OAS in the attempted assassination of de Gaulle. S Soustelle had openly 'advocated over throwing de Gualle,' while condoning OAS violence. In New Orleans, Delphine Roberts identified Nagy from his photograph as someone she had seen at Guy Banister's office. Nagy's partner in the leadership of PERMINDEX was Giorgio Mantello, aka George Mandel, who during World War II had traded in Jewish refugees, profiting handsomely from their misery from his perch at the consulate of El Salvador in Bern. It was Mandel who had been the official founder of PERMINDEX. CIA kept silent, but the State Department learned that, as 'Georges Mandel,' Mantello had been engaged in the 'wartime Jewish refugee racket' until he was expelled from Switzerland. Although Centro Mondiale Commerciale refused to reveal the origins of its vast income, the paper trail leads to a Miami bank, Astalde Vaduz, and to the CIA front 'Double-Chek.' CMC was connected as well to L.M. Bloomfield in Montreal, and to the Seligman banking family in Basel; Seligman banking in turn was allied with Sullivan and Cromwell, the law firm of CIA Director of Central Intelligence, Allen Dulles. 'My parents are very interested in PERMINDEX,' Peter Seligman-Schurch wrote to Clay Shaw. In Switzerland, PERMINDEX soon aroused 'widespread public suspicion.' Nagy and Seligman stonewalled the concerned American consulate in Bern after the Swiss complained they had 'insufficient confidence in the business integrity' of PERMINDEX. Nagy claimed that Shaw 'had from the outset great interest in the PERMINDEX project,' and Shaw did use the term 'delighted' in his cable of acceptance. He made plans to visit Italy, then canceled. despite Mantello's urgings. When he added his PERMINDEX directorship to ' Who's Who in the South and the Southeast,' the Department of Commerce warned Shaw about 'this shadowy organization.' But, as in all his CIA assignments, grateful for the career CIA made of him, Clay Shaw honored his obligation. Internal evidence that PERMINDEX was a CIA front emerges in the fact that the CIA included PERMINDEX materials in its asset Clay Shaw's files, three years before as well as after the Kennedy assassination. One of these documents, dated March 16, 1967, reveals that at the time of his arrest Clay Shaw was working with Domestic Operations Division of the CIA's clandestine services. This was only a seeming contradiction since the CIA's operational component in New Orleans had resided under the umbrella of the Domestic Contact Division, at least since November 19, 1964, according to a CIA document on 'Garrison and the Kennedy Assassination,' MEMORANDUM No.8. 'Most of us consider the CIA with abhorrence,' Shaw wrote in his Diary for the record, with his customary dark laughter. In 1962, Centro Mondiale Commerciale was expelled from Italy, ostensibly for financial malfeasance, and specious real estate dealings, but actually for subversion and illegal intelligence activity. 'Who was giving money to the CMC and what was it being used for?' Paesa Sera demanded. PERMINDEX relocated to a more compatible political venue, apartheid South Africa. Clay Shaw remained on its board, providing space at the Trade Mart for a permanent PERMINDEX display. The editors of Paese Sera were astonished when their March 1967 publication date for the series on PERMINDEX coincided with the arrest of Clay Shaw. They had been working on the series for months, former editor Giorgio Fanti says. Now they headlined Clay Shaw's involvement in PERMINDEX, with a subhead revealing that he had been arrested by Jim Garrison in New Orleans. Paese Sera noted that Shaw's name had first appeared in connection with the machinations of the organization. He had gone to Rome 'during the time preceding the disbanding of the CMC,' Shaw admitted to a Paesa Sera interviewer. Paesa Sera wondered, too, about Shaw's leaving the United States two days after the assassination, remaining abroad for two years with only intermittent visits to America. Shaw affected his customary disdain. He had agreed to be on the PEMINDEX board, he claimed, because 'a young Italian came to see me in New Orleans and told me about a world trade center that was being planned in Rome.' He also told the Paese Sera interviewer that he 'accepted the position in exchange for two New Orleans-Rome air tickets.' Even his closest friends were appalled. 'There must have been blackmail - they're very famous for that, the CIA,' Patricia Chandler says. Jim Garrison had charged that the CIA had plotted the assassination of John F. Kennedy, for which they were aided and abetted in New Orleans by their operative, Clay Shaw. Thirty-five years later, a series of attacks on Paese Sera began to appear, accompanied by an excoriation of Jim Garrison. Among the publications sanctioning these attacks was the CIA's own web site, 'Studies in Intelligence.' Journalist Max Holland repeated in a series of magazine articles the erroneous thesis that the only reason that Paese Sera believed that the CIA was behind PERMINDEX was that the newspaper was the victim of KGB disinformation. Jim Garrison, therefore, had connected the CIA to the Kennedy assassination and to Shaw only owing to a KGB lie. Rather, Garrison's attribution of the planning of the assassination to the CIA was based on his discovery of the CIA connections of Lee Harvey Oswald, and not those of Clay Shaw, an inconvenient detail Holland omits. The truth is that Garrison had focused on the CIA in December 1966 and January 1967, well before the March publication of the Paese Sera articles. A Farewell to Justice: Jim Garrison, JFK's Assassination, and the Case that Should Have Changed History. by Joan Mellen. Pgs. 136-140. This is very intriguing. 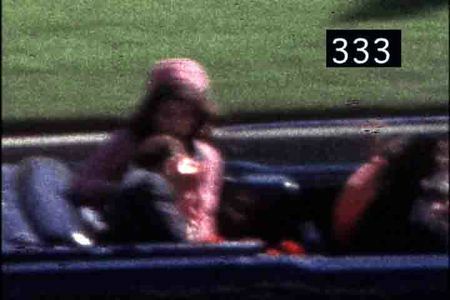 The Permindex part of the JFK assassination is murky and yet keeps popping up as do the names Nagy and Bloomfield. Why can we not figure it all out? Thanks for highlighting those names. I have not, as of yet, read the The Torbitt Document in its entirety. Mind Control, World Control by Jim Keith might also be a good source for further research into this area. As you may know, Mae Brussell had devoted some airtime to the PERMINDEX aspect of the JFK assassination. The strange references to a world trade center (above) and to airplanes in the Jonestown suicide tape are very disturbing indeed. But, what has happened after that Permindex was transferred at Johannesburg ?